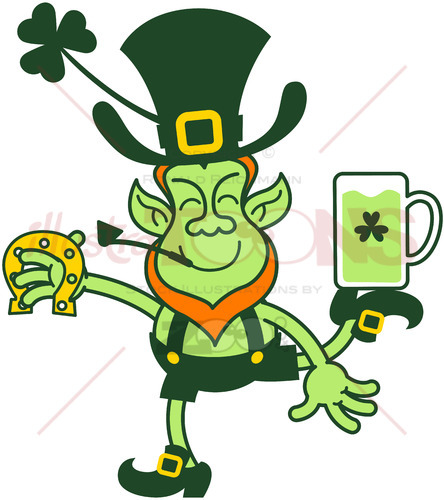 Leprechauns, beer and gold, what else? 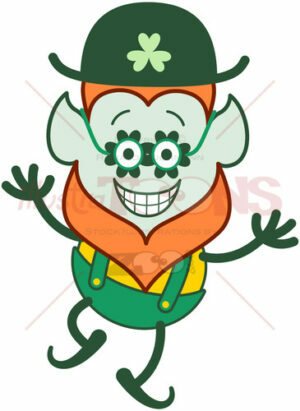 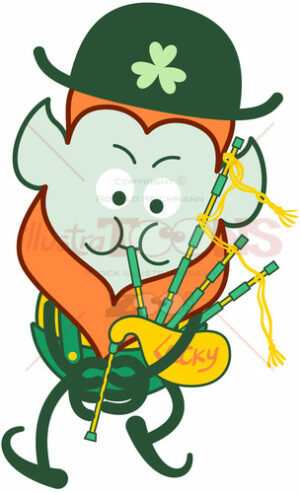 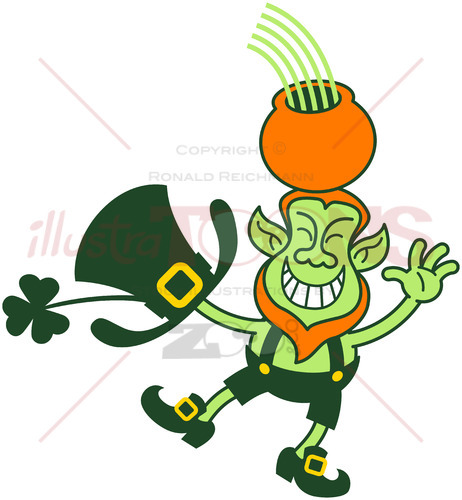 Leprechaun grinning and juggling a gold pot. 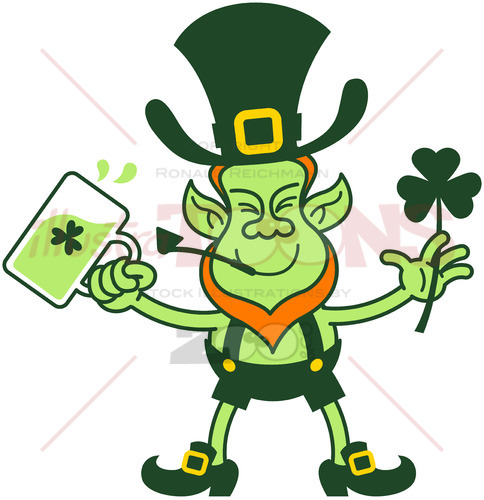 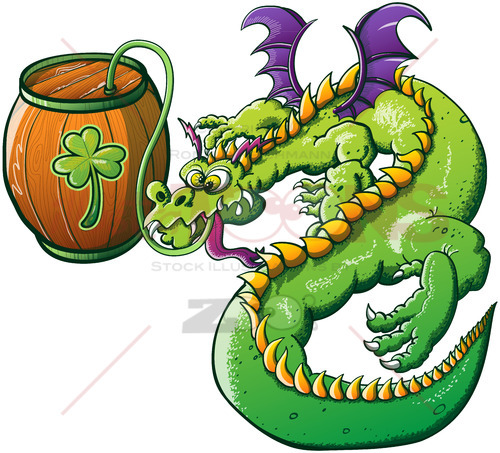 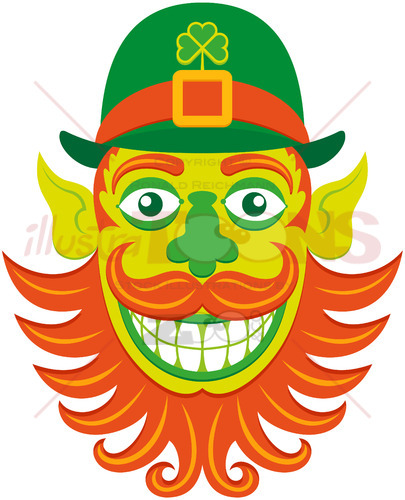 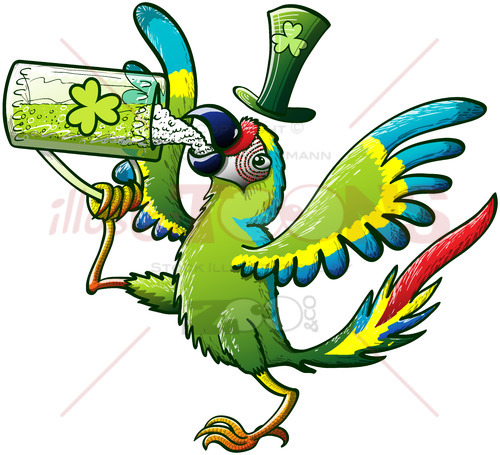 Royalty free stock image of a green Leprechaun with red beard, green skin and pointy ears while getting his big hat off and smiling mischievously. 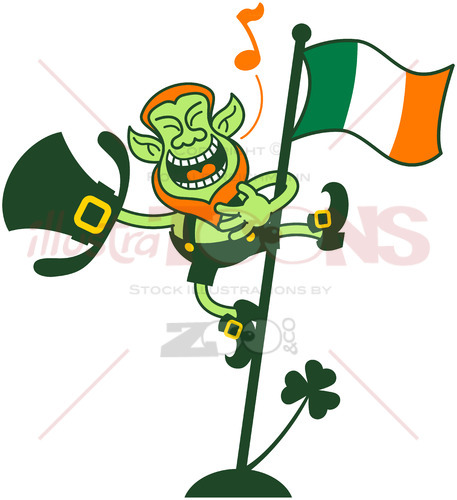 He’s greeting animatedly and keeping balance in a single foot while holding a gold pot and a rainbow on his head.